Brian Heater has joins as hardware editor, where he will lead coverage of consumer electronics, gadgets, and emerging hardware technology. Heather also serves as a contributing writer for Mashable. He joins from Yahoo where he served as senior editor since 2014. Heater has also held editorial positions at Engadget, The Daily Cross Hatch, and PC Weekly. Kate Conger has joined the TechCrunch staff as a writer covering online security, privacy, and policy, including encryption, cyber security, and related policy. Conger has served as managing editor for Ratter,and has also held editorial positions with SF Examiner, Motherboard, Daily Dot, and SF Weekly. Today is my first day at @TechCrunch. I'll be covering politics, policy, security, crime — all the usual cybers. Tip me! Devin Coldewey has rejoined TechCrunch as a staff writer and photographer. He will be reviewing gadgets, and covering emerging technology and research including robots, lasers, artificial intelligence, and self-aware laserbots. Coldewey previously served on the staff of TechCrunch’s now defunct CrunchGear from 2007 until 2012. 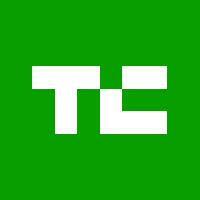 Haje Jan Kamps has joined TechCrunch as a contributing writer covering technology startups and gadgets. He has founded a number of sites and authored books covering the subject of photography. Jan Kamps is also a contributing writer for DIY Photography, as well as chairman for Triggertrap and publisher of Photocritic.org. Kamps acted as CEO and cloud founder for ScreenCloud from 2015 to 2016 and was the founder of TriggerTrap serving as CEO from 2011 through 2015. For technology news from TechCrunch, follow on Twitter and YouTube.